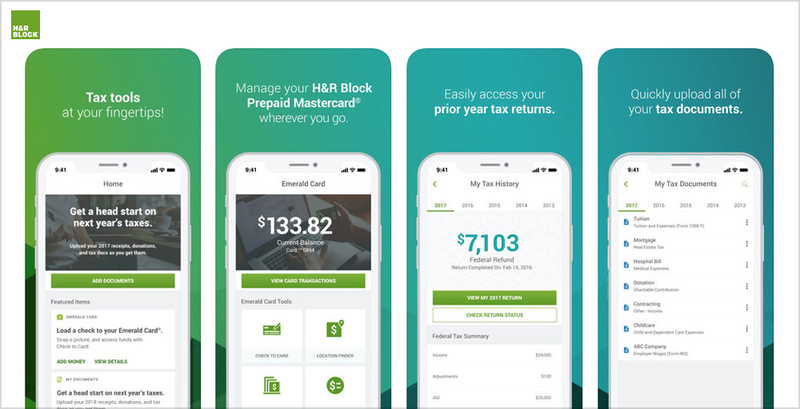 Prep and files your taxes anytime, anywhere with the expertise of H&R Block in a mobile app. 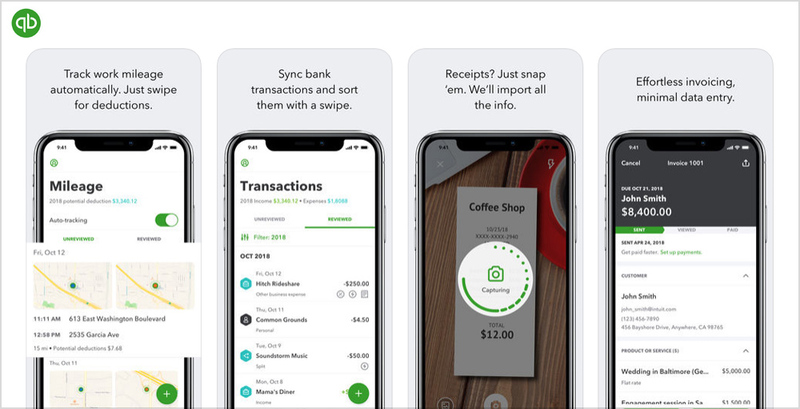 Perfect for the first timer, tax filing veteran or the procrastinator; this app simplifies the process to ensure you’re getting the job done right and getting your biggest refund – because we could all use that cash money. 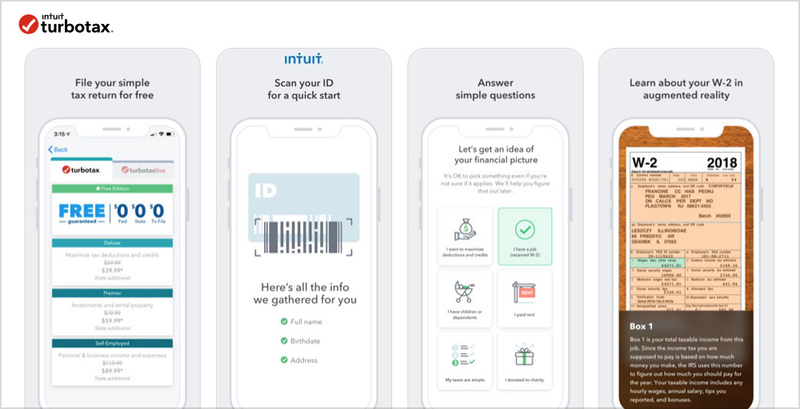 File your taxes on the go with TurboTax. Their app has a suite of features for fast, easy and secure filing. There’s no need to be a tax pro, just answer simple questions about your life and get your maximum refund, guaranteed! Independent contractor, freelancer, or self-employed? We’ve been there before and we’ve got just the tool for you. The QuickBooks Self-Employed app makes things easy. Find all of your potential tax deductions by using their automatic mileage tracker, attach receipts to business expenses, create invoices and categorize business expenses while separating from your personal finances and get all the tax refunds a self-employed business owner is entitled to! Prepare your federal and state tax returns anytime from your smartphone! 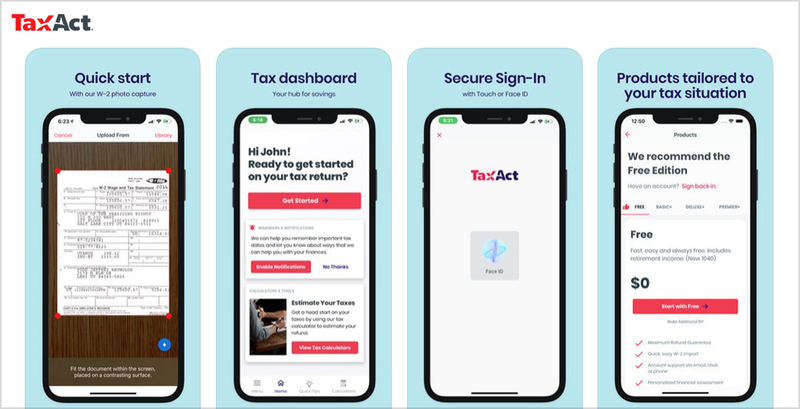 By answering a series of simple questions, the TaxAct app will do all the heavy lifting for you with its step-by-step guide, accuracy checks, security features, customer support and more. Were you feeling charitable in 2018? Use iDonatedIt to help track and value your non-cash charitable donations. The app allows you to track everything from the date of donation, charity you donated to, items and fair market value of those items. Easily manage and maintain a permanent record of your donations with an app that meets the compliance requirement of the IRS. Did you drop the ball completely and that April 15 deadline is clearly not going to happen? Sorry, there are no apps that can save you. BUT you can get a six-month extension on filing your returns by submitting a Form 4868. Use the IRS Free File Software to fill that online and buy yourself some time. To round off our list there is of course the official mobile app of the IRS: IRS2Go. Check your refund status, make a payment, find free tax preparation assistance, sign up for helpful tax tips, generate a login security code, and follow the latest news from the IRS. Download IRS2Go and connect with the IRS whenever you want, wherever you are. Technology is constantly outrunning us, so, how do we catch-up? Artificial Intelligence is one way to stay ahead of the competition. AI gives brands the ability to not only reach consumers but to also appeal to their interests on a more personal level, wherever they are. Times are changing, and as leading companies, we owe it to the consumer to keep up.